The latest one is a great intro to tDCS – it is an interview of me and is very well done! Please pass along the link! In part 1 of my series on the new foc.us V2 tDCS device, I introduced the basic components of the V2 as well as its user interface. I continue to be pleased with the V2 as a user and want to pass along some ideas related to electrode use. Foc.us offers two headsets for the V2, the Edge and the Gamer. The EDGE is a special purpose headset designed to facilitate experimentation and research on the use of tDCS to improve athletic ability. As I mentioned in the last post, this is an area of tDCS that is ripe for exploration. A few studies have already been posted that hint at possible uses for tDCS and improvements in physical ability. This will be a very interesting application of tDCS to watch as results from various tests are posted. The EDGE headset is not a general-purpose tDCS headset and should NOT be selected by most users. The GAMER headset is a more versatile headset for the new or experienced tDCS user. It is made up of a flexible metal band and two electrodes that attach to the band. It is highly adjustable for head-size and comfort. “Out of the box” it is designed to allow stimulation of the pre-frontal cortex, an area associated with memory, learning, etc. It happens that the electrodes of the GAMER can be used independent of the included band – allowing electrode positioning for “savant learning”, treatment of chronic pain, depression, etc. Note: the electrode plainly marked “Left” on the inside of the sponge frame is the anode (+) and the electrode marked “Right” is the cathode (-). foc.us has updated the firmware on the V2 so that the resistor that tells the tDCS module which headset is connected is no longer needed. FURTHER – they are also released a patch cable to make attaching 3rd party electrodes even easier. See ( http://www.foc.us/tdcs-tens-cable-adaptor ). The text below is left for historical reference only. If you are pretty good with a soldering iron you can easily adapt any electrodes you prefer for use with the foc.us V2. The jack on the V2 tDCS device is a four conductor, 2.5 mm type that has been used on some cell-phones and portable audio gear. Connect your electrodes to a four conductor, 2.5 mm plug and a small resistor and away you go! To test this, I used a small RadioShack proto-board and broke out the 4 conductors for easy investigation and tinkering. I used a 100 and 200 ohm resistor in series to get the 300 ohms needed to let the V2 “think” I am connecting an Edge headset, even though I use popular Amrex 3x3s. Actually it seems not to matter whether the V2 thinks an Edge or Gamer is connected – you can still set all the desired tDCS treatment times and current levels. Perhaps in future firmware, foc.us will include special features for 3rd party headsets that use a different resistance identifier. BTW Soldering wires to a four conductor, 2.5 mm plug is not for the faint of heart. It’s very easy to short contacts and generally make a mess. I suggest buying a pre-wired 2.5 mm plug from Parts Express (or similar). Their part number is 090-504. So there you have it. I suggest that you either buy the foc.us GAMER headset with your V2 and use it as is or with your own headband as I have shown above – or do your own thing with a 4 conductor plug and whatever electrodes you prefer. Please feel free to send along comments and suggestions related to this post or a future one you would like to see. 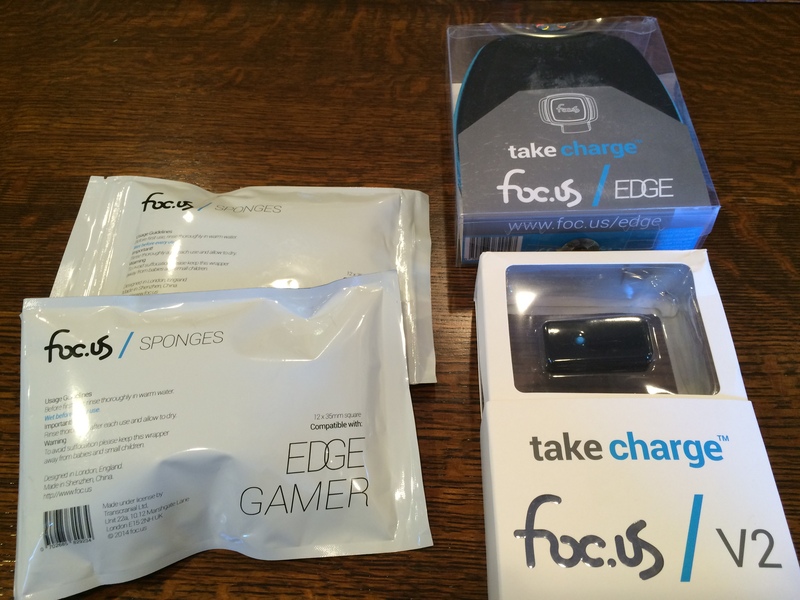 Once again, foc.us has distanced itself from the rest of the tDCS device pack. If you are in the market for an innovative tDCS device that is sophisticated and simple to use, I think you will be very pleased with the foc.us V2. tDCS is all about delivering a tiny current to the brain in order to improve it or provide relief from a brain-related condition. Here is a way to do it with a cool device that works well! The first foc.us headset moved the bar on tDCS devices by offering a huge feature set (built-on or external electrodes, wearable, Bluetooth support, iOS app, etc. ), and a moderate price. I don’t have any sales data on the foc.us V1 headset, but I’ll guess foc.us sold more than a few. I happen to own more than one and use them often. I’ve also helped many others achieve tDCS success with the foc.us v1. As a radically new design from a brand-new start-up, the foc.us V1 was not without its problems or detractors. There were production problems, support problems, unpolished features and more – that for some made it hard to see the real core value of the headset as a tDCS treatment device. But given how far foc.us pushed the DIY tDCS market, those of us who really learned how to use the headset were (and are) thrilled to have it. foc.us did not stand still though. Based on experience with the v1, user input, and their own vision of what tDCS could become, the foc.us v2 tDCS device and accessories have been created and are now moving toward distribution. The new device has three basic parts of which the buyer can purchase as desired. The V2 tDCS device itself is now a tiny module not much bigger than some USB flash-keys. It is programmable, has a graphical display, a joy-stick like control for selection of desired tDCS parameters, and is rechargeable and updateable (firmware) via a USB base. 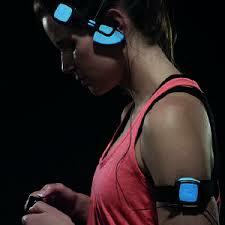 The EDGE headset represents new ground for a commercial tDCS device. Many of us have wondered how long it would take the world of athletics to discover tDCS and the potential it holds for improving performance in many competitive and non-competitive sports. To that end, foc.us offers the EDGE headset designed to place the anode in the area of the premotor cortex (coordinates complex movements) and the cathode on the upper arm. Much research and experimentation in this realm of tDCS is needed, but suffice it to say that one day the top performers on your favorite sports team may be using tDCS during at least some of their training. I was fortunate enough to have received a foc.us V2 at the beginning of December, 2014, with an early firmware and feature set. Suffice it to say that, even in its early form, it performs well and is very easy to use. With the headset in place and plugged into the V2 device, press the blue joystick on the v2 tDCS device to activate it. Then simply step through the prompts to setup your tDCS session parameters. 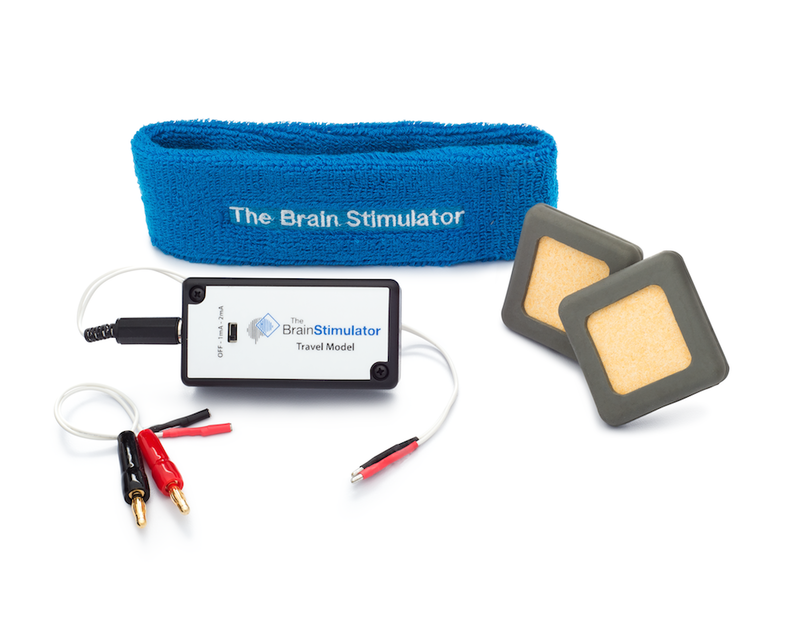 Your tDCS session will begin with a short ramp-up time and then a count-down of the session time remaining. Actual current delivered is displayed and graphed. You can press on the joystick at any time to immediately end a session. 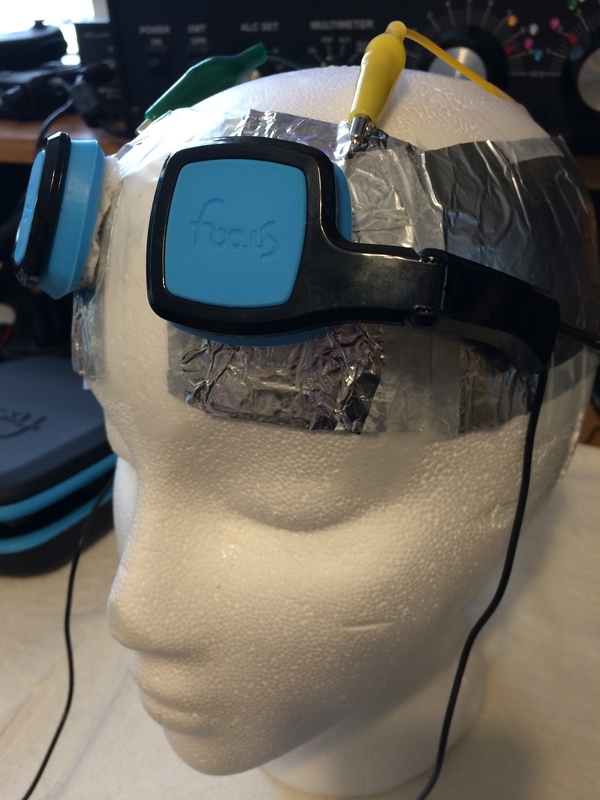 For you techie folks: Note that the foc.us V2 does contain a boost circuit to overcome electrode and skin resistance – as do many commercial tDCS devices. I measured a peak of 56 volts as the V2 tried to compensate for my high-impedance load test and deliver the selected current level. At no time was I ever able to exceed the current level I had programmed on the V2 device. Very small, portable, tDCS device. You could easily Velcro it into your cap or just put it in your pocket. It is easily programmed for desired tDCS settings. Three or four tDCS sessions seems sufficient to drain the battery in the early production device. I think it will be a good habit to put the V2 device on its charger when not in use. There were complaints that foc.us seemed overwhelmed when the v1 was released about two years ago – leading to spotty technical support and order-issue resolution problems. Has foc.us learned from the V1 experience? The V1 IOS app never seemed to reach a solid feature completion. It works – but… Will the V2 app be better? foc.us says it will. They have a new programming team and will release a new app for the V1 and V2 in the January/February timeframe. But to be clear, you DO NOT need an app to use the V2 very effectively. I’m very pleased with my early copy of the V2. It works well, is tiny, easy to use, and produces clean, predictable output. The new foc.us headsets are innovative and comfortable. 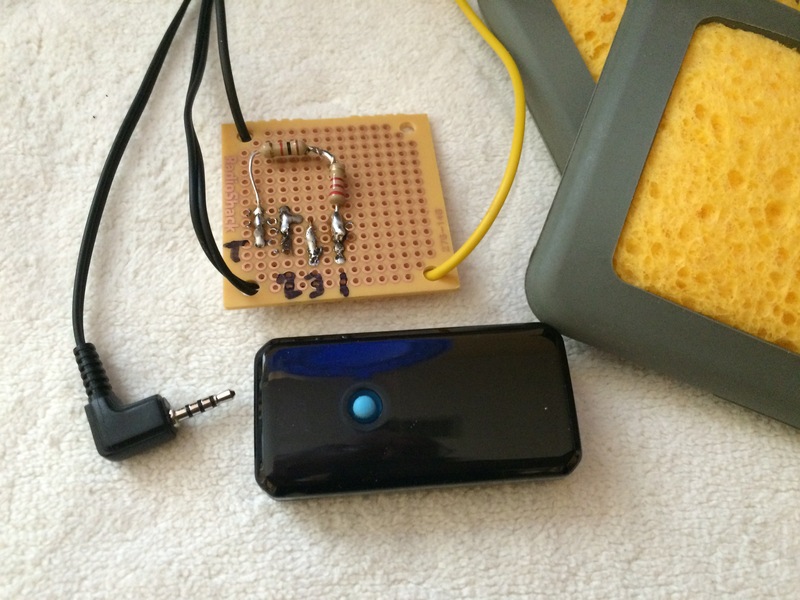 The V2 represents a nice step forward for foc.us and for the DIY tDCS community. 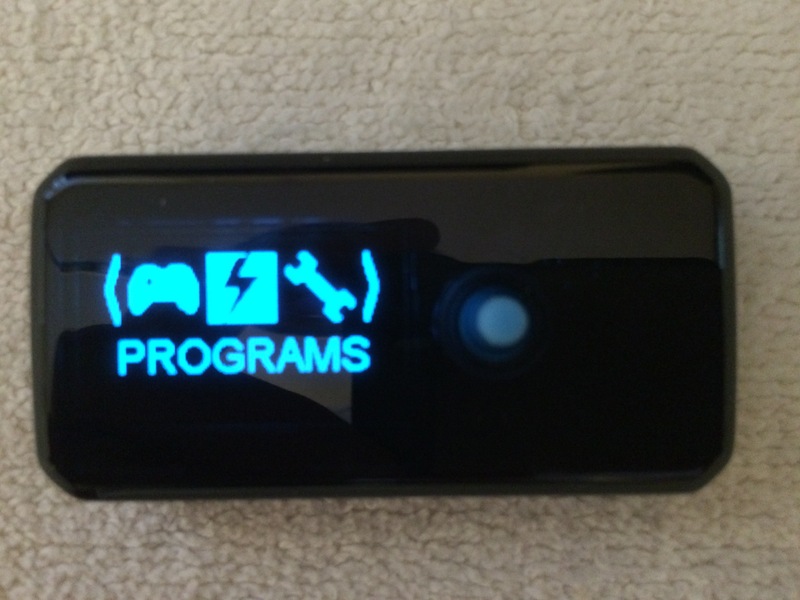 I look forward to continued development of the V2, firmware, apps, and 3rd party add-ons that are likely to come. Pricing is about the same as with the V1 (it was about $250 plus $50 for a needed accessory kit.) The V2 is $199 for the tDCS module. foc.us supplied headsets are priced at $99. A pack of 12 foc.us sponges is $5. You are free to use 3rd party or your own electrodes if you prefer (details in my next post.) See www.foc.us for ordering details. 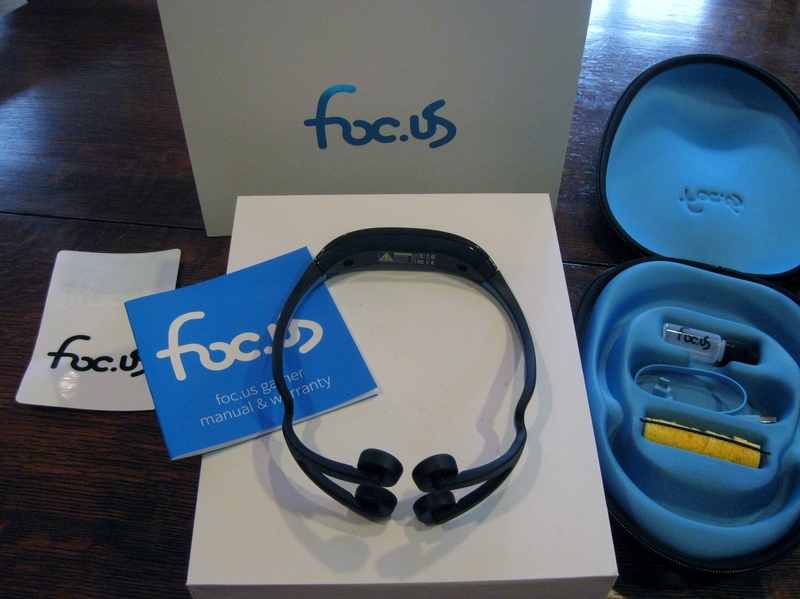 The foc.us V2 is clearly more sophisticated and better designed than the typical tDCS device in the market right now. Yes, it costs more than entry-level devices – but as the saying goes, “you get what you pay for”. If you are serious about tDCS for yourself or someone you know, the foc.us V2 deserves your consideration.